UPDATE: Please see below for the rescheduling date/time for the January 31st event. Chatham's School of Health Sciences and the Office of Alumni Relations invite you to a lecture on Dr. Jonathan Weinkle's newly published work, "Healing People, Not Patients; Creating Authentic Relationships in Modern Healthcare." In addition to instructing for Chatham's Physician Assistant Program, Dr. Weinkle is the PA Program's Medical Director and an Internist and Pediatrician at the Squirrel Hill Health Center. The lecture will be held in the Campbell Memorial Chapel, followed by a professional networking reception lecture in the James Laughlin Music Hall. Refreshments and appetizers will be served at the reception. 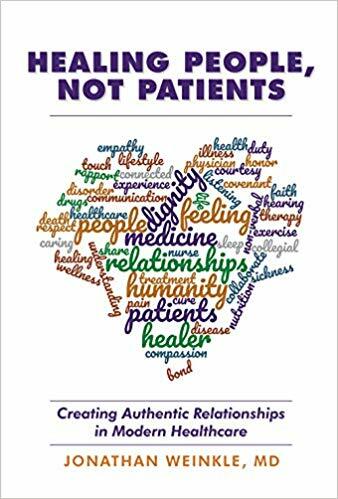 Dr. Jonathan Weinkle's book, "Healing People, Not Patients; Creating Authentic Relationships in Modern Healthcare", will be on sale at the reception. PLEASE NOTE: If you already registered for the cancelled date, you do not need to register again. For all cancellations, email Alumni@Chatham.edu. One (1.0) continuing education credit will be offered for Psychology (APA) and Physician Assistant (AAPA Category 1 CME credit) professionals attending this presentation. The Chatham University Psychology Continuing Education Program is approved by the American Psychological Association to sponsor continuing education for psychologists. The Chatham University Psychology Continuing Education Program maintains responsibility for this program and its content. Please contact Jennifer Morse at jmorse@chatham.edu with questions.